Welcome to Latter Day Books Blog Tours! A book blog tour is essentially a virtual marketing tool - a new approach to generating "buzz" about your book. Tours are conducted by a host (such as Latter Day Books) who lines up a number of blogs to promote the book during a specified period of time. These tours usually consist of providing review copies for bloggers who in turn post reviews, author interviews, giveaways, and/or guest posts. Book tour banner which will be displayed on your tour page and used to advertise your tour on any of the participating blogs. Personal communication with the author and individual bloggers. Prices vary depending on the number of tour stops. To schedule a book blog tour, email me at lexie.bookbug@gmail.com. *Author/publisher must also provide review/giveaway copies, as well as shipping expenses. "Lexie at The Book Bug was amazing! She found the other blogs, coordinated with them, kept me up to date, and even came up with some great graphics. As a first-time author and someone relatively new to the blogging scene, I was so grateful for the publicity and the guidance. Lexie organized a wonderful blog tour and put in a ton of work. 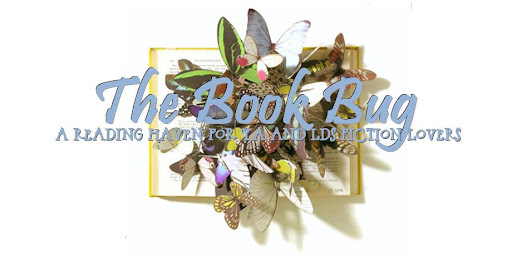 She is a wonderful hostess and I wholeheartedly recommend including The Book Bug in your next book launch!" Check out the Espionage Tour Page.